Navarro masquerade party pack is great for large events. Mask is painted black and has raised detail. This mask party pack has 24 masks. 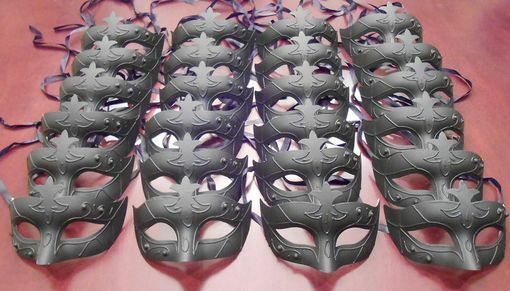 All masks come with black ribbon ties.